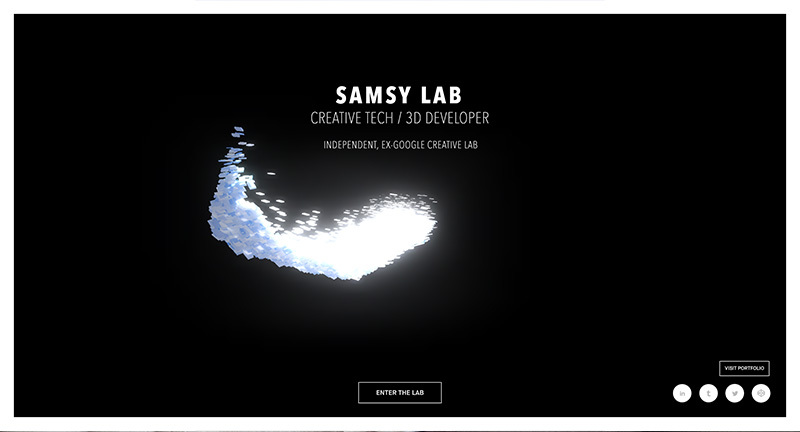 Collection of WebGL experiments from creative developer Samsy. 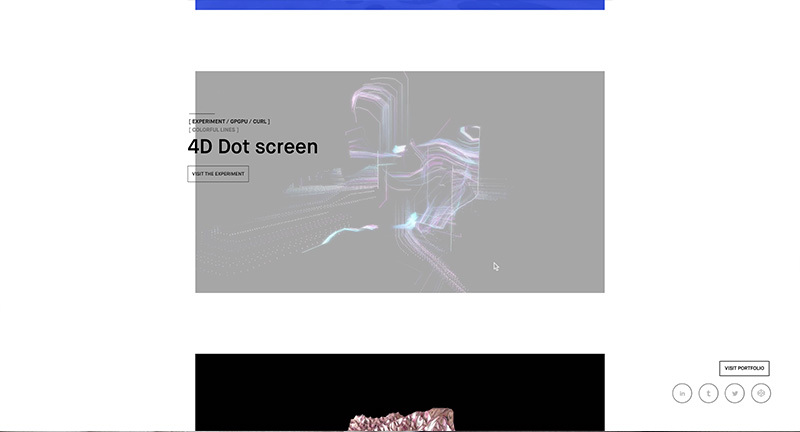 Minimal interface to let you get into the experiments, love the looping videos to give a preview of the experiments. 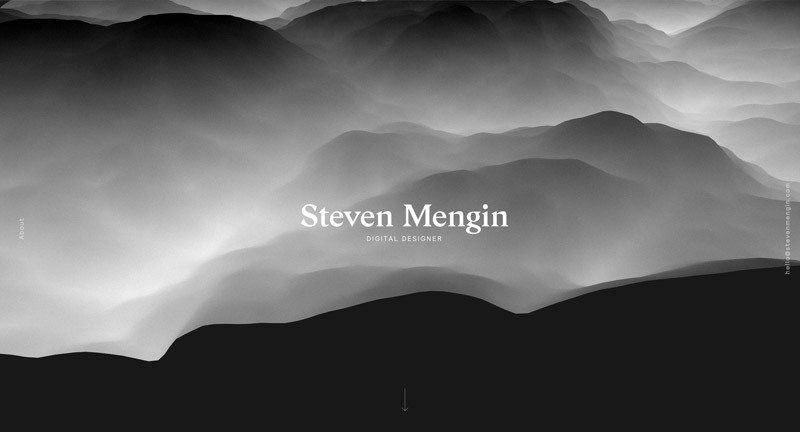 Slick and simple site for designer Steven Mengin. 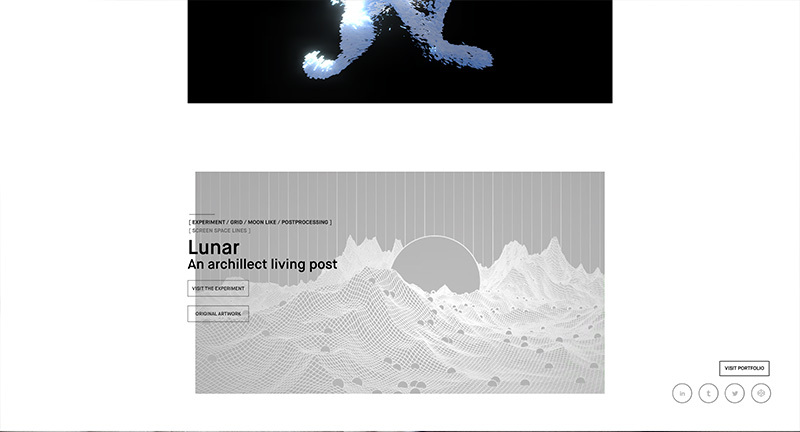 Love the initial undulating 3D landscape that goes into an editorial style layout. Nice 3D touches here and there that add a certain flare to the interactions. 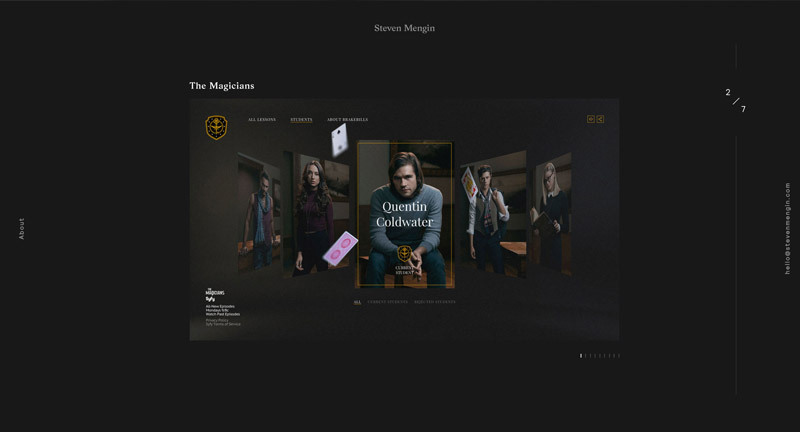 Nice dark look and feel brought to life with subtle touches and nice details. 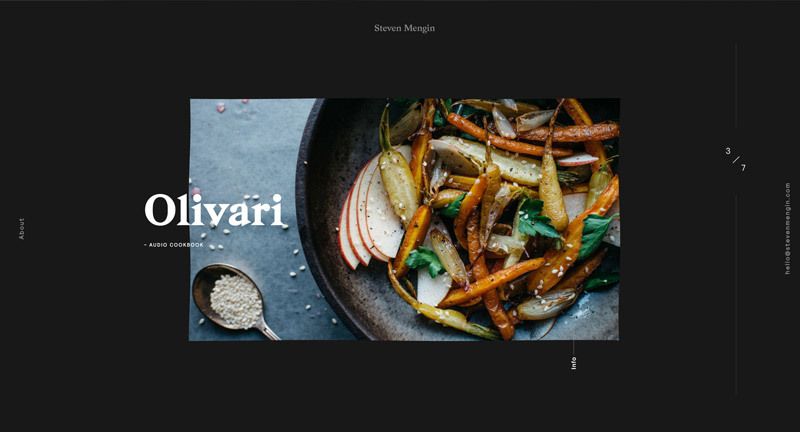 Created by Steven Mengin (@steven_mengin) and Samsy (@Samsyyyy).